Lots more kitchen utensils and products to see in the store! Vetiver root placemats from Zen Zen made in Indonesia, come in to smell the unique root the mats are made from. 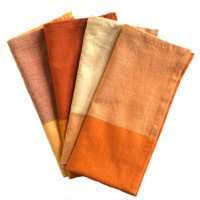 Recycled silk placemats made in Nepal by Ganesh Himal Trading Co. Recycled silk table runner made in Nepal by Ganesh Himal Trading Co.